Many computer users who suffer from wrist pain have found relief with curved or divided keyboards, which experts say put less stress on their hands and upper back. But those keyboards don't solve issues that arise from constant mouse use. 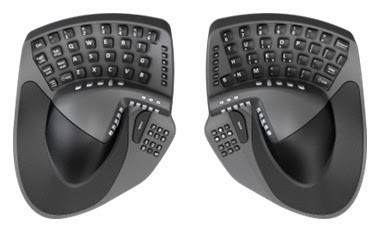 The KeyMouse offers a unique solution: a hybrid device that incorporates both a keyboard and a mouse into two separate devices - one for each hand. The KeyMouse allows users to keep their hands in typing position while moving the mouse. It eliminates the need to move your hand away from the keyboard whenever you need to point or click. The KeyMouse splits a QWERTY keyboard in half and builds a mouse controller into each segment. 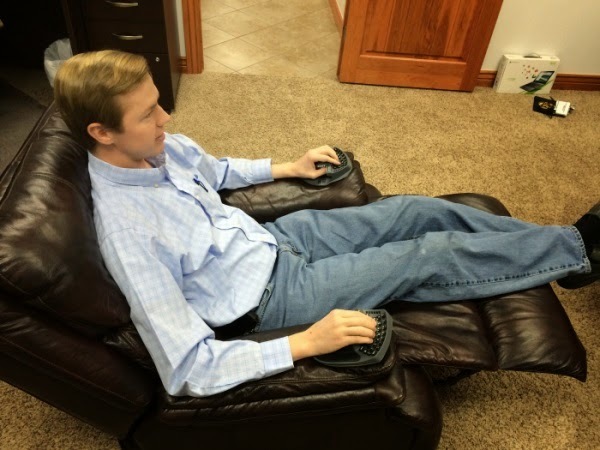 Users can choose whether they want to do their mousing from with their right had or left hand. Thumb keys are pre-programmed to control multimedia (next track, previous track, play/pause and volume) or web browsing next, back, new tab and so on). Keys can also be reprogrammed to suit the user's preferences and perform other functions. The KeyMouse was introduced earlier this month at International CES. Its creators are currently raising development financing with a campaign on Kickstarter where early backers can reserve a KeyMouse for $249. Check out the video below for a closer look at the KeyMouse, get the technical specs at Kickstarter and follow KeyMouse news on Twitter. Minicute EZ 2 is our favourite pick of the bunch! The minicute EZ 2 left handed ergonomic mouse is the best ergonomic mouse reviews for anyone looking for a vertical mouse that is for left handers. It features a comfortable vertical design that fits nicely in your hand and requires minimal gripping. It comes in both a wired or wireless version and is very good quality.